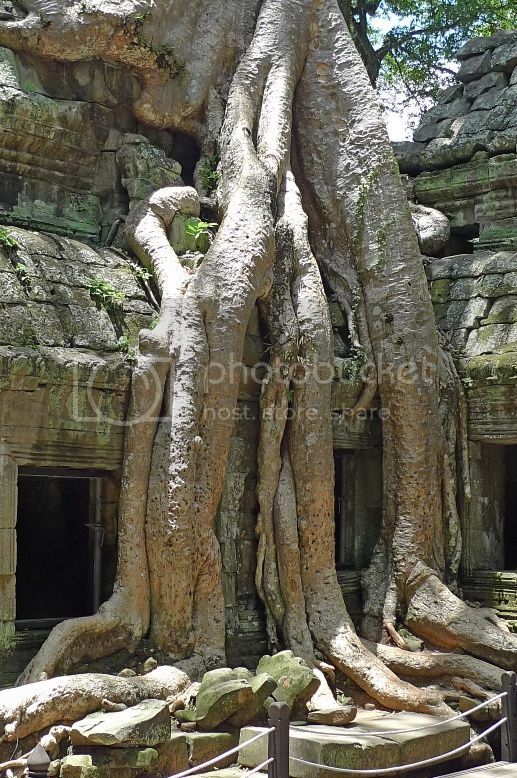 Perhaps it is wrong for me to name Ta Prohm the Tomb Raider Temple. 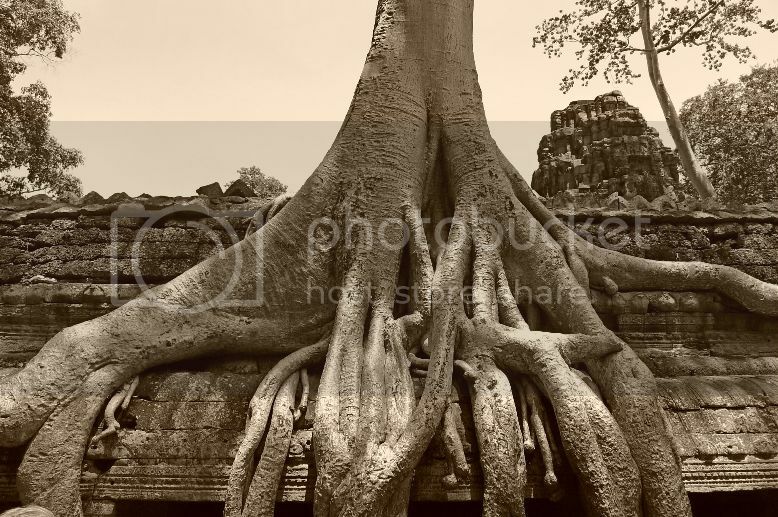 How could a Hollywood movie starring Angelina Jolie as the famous heroine Lara Croft upstage the importance and significance of this temple to the culture and history of Cambodia? 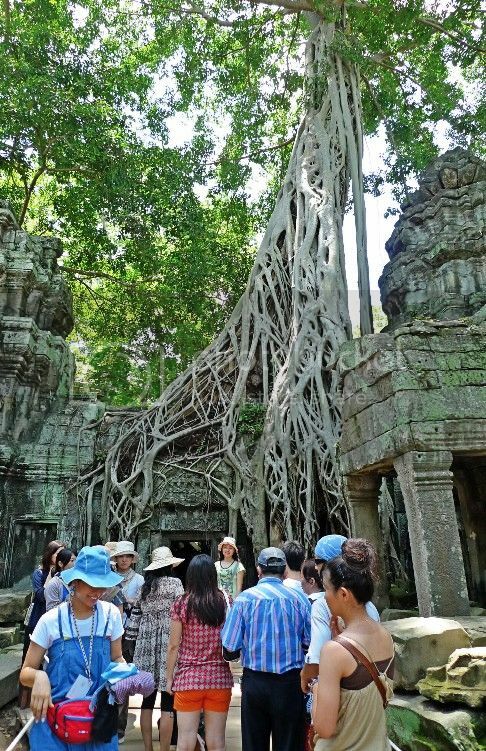 And yet, Tomb Raider was instrumental in making Ta Prohm one of the most famous temples in the Angkor Wat Archaeological Park. 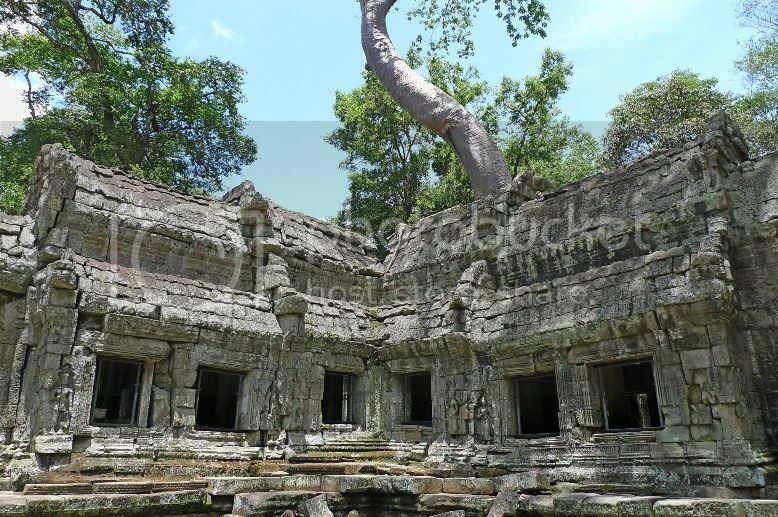 Most of the scenes in Tomb Raider were shot here and they were quite faithful to the temple's actual appearance. 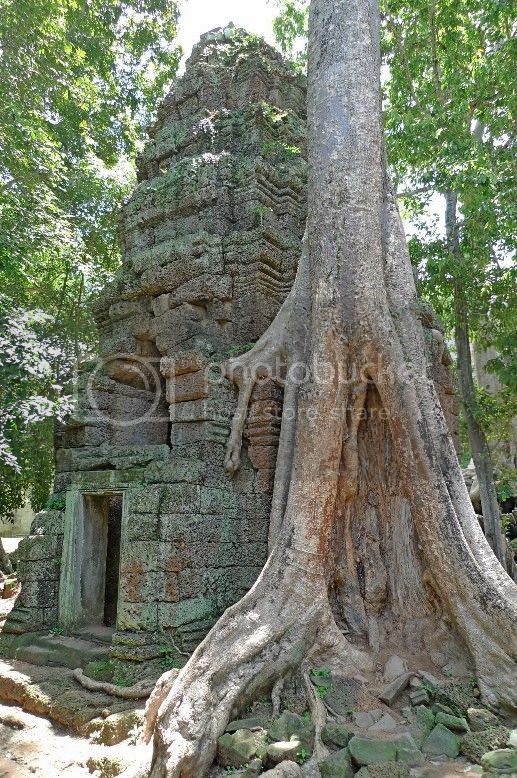 But what really attracted me to Ta Prohm were the trees growing out of the temple ruins! 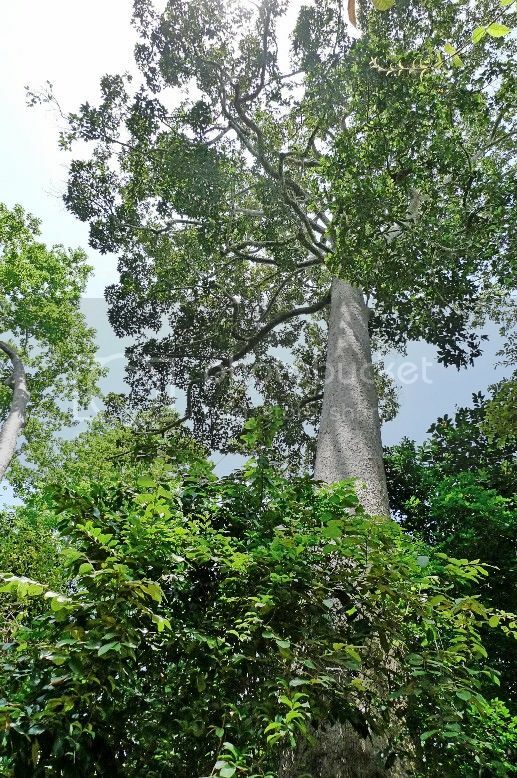 After we left Preah Khan, our driver Xiao He drove Jam, his friend and I straight to Ta Prohm, which was located one kilometre east of Angkor Thom. 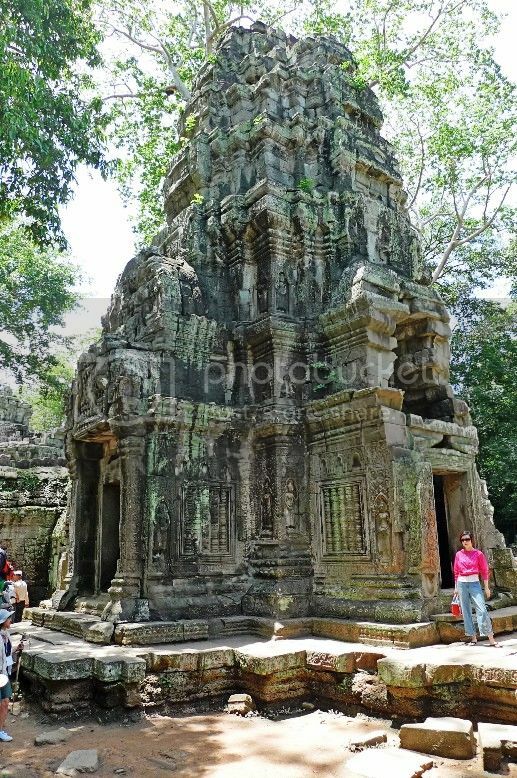 Built in the late 12th and early 13th century in Bayon style architecture by King Jayavarman VII, Ta Prohm was used as a Buddhist monastery and university. 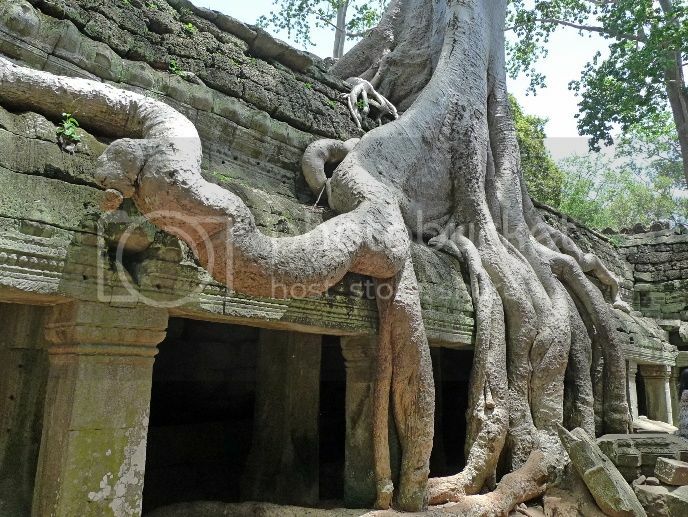 Unlike most Angkorian temples, Ta Prohm was left mostly preserved and not restored so that the original atmosphere of the place still lingered after all these centuries. 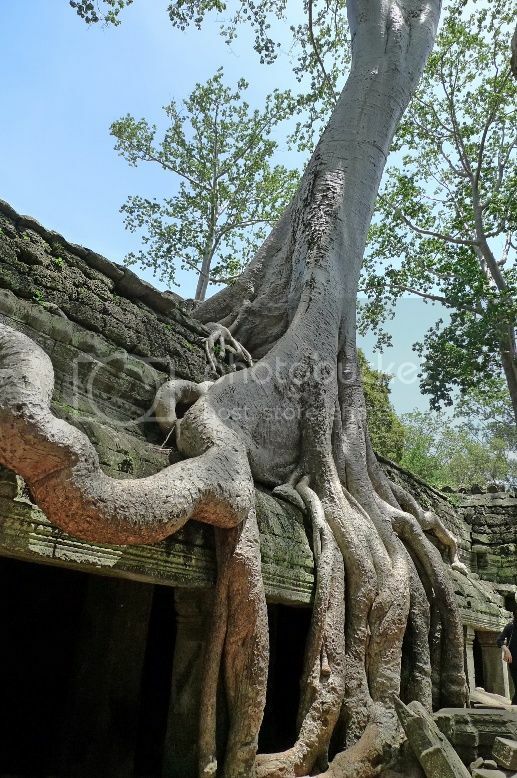 Trees growing out of the temple ruins is a major feature of Ta Prohm. I had to wait for tourists to leave before I could take this picture below. Most tourists love to stand at this spot to have their pictures taken! 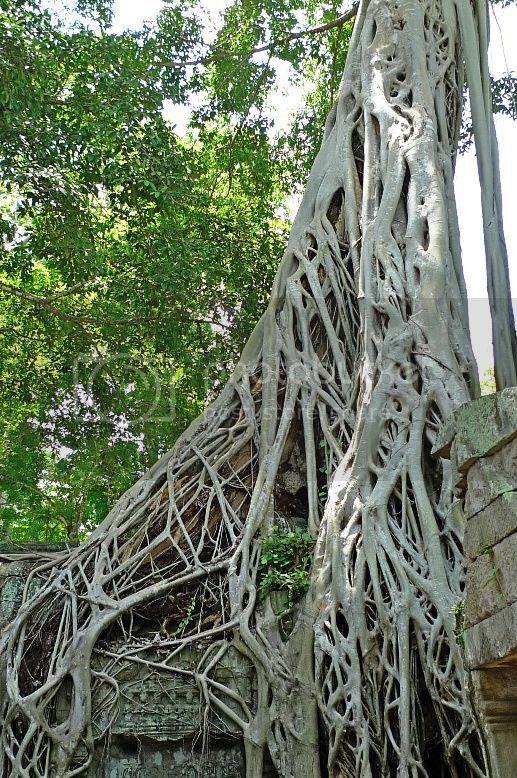 Look at the giant roots of this tree merging with the temple structure! I had a hard time waiting for tourists to get out of the way before taking this shot! 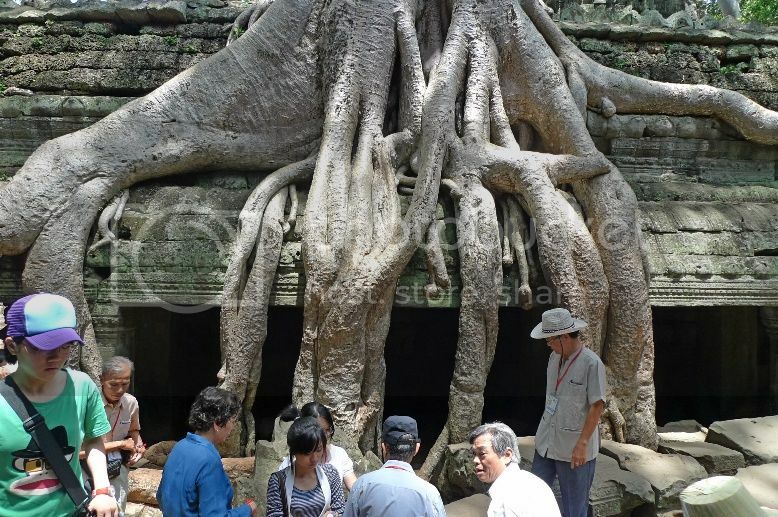 Another shot of the huge roots with tourists in the picture. I like the sepia mode of this photo. Looks more authentic doesn't it? Haha! 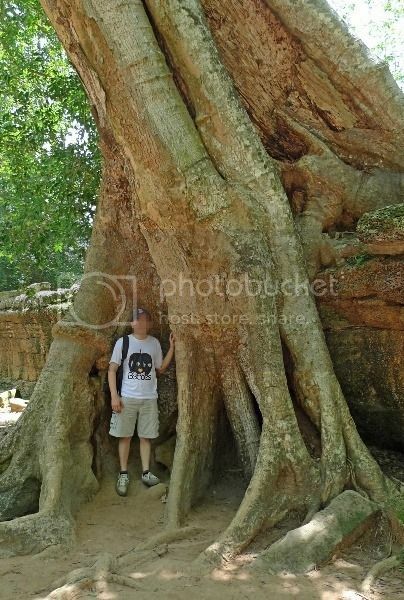 We then arrived at the most popular spot in the whole of Ta Phrom! Everyone wanted to have his or her photographs taken at this spot! I can't quite remember but does this scene appear in the Tomb Raider movie? Looks like I have to re-watch the movie! Haha! 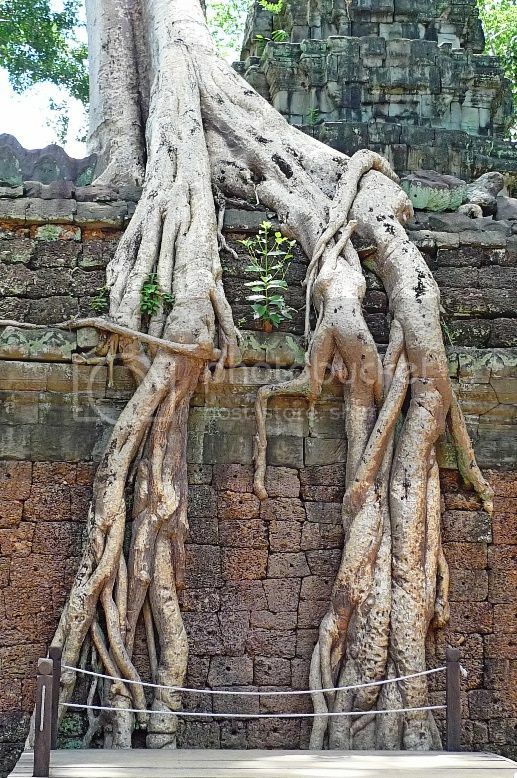 More trees spotted growing out of the temple ruins. 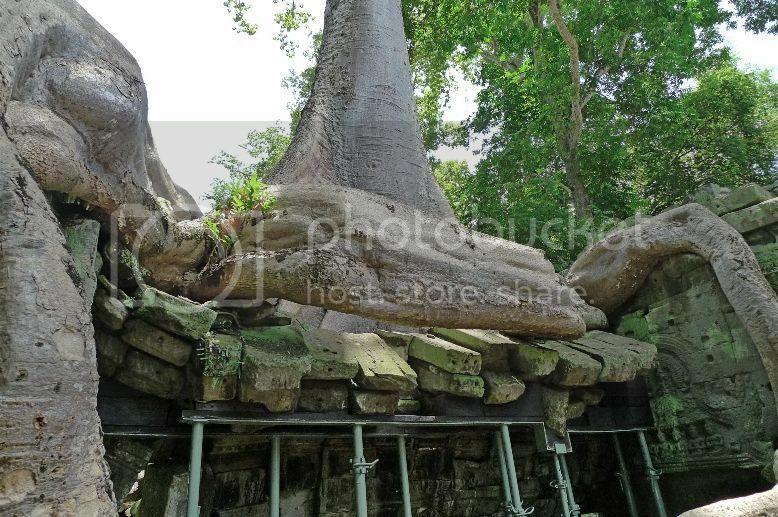 Another huge tree pressing down on a temple structure, as if strangling it. This is another photography spot for tourists! Does this scene appear in Tomb Raider too? Looks like I really should watch the movie again! 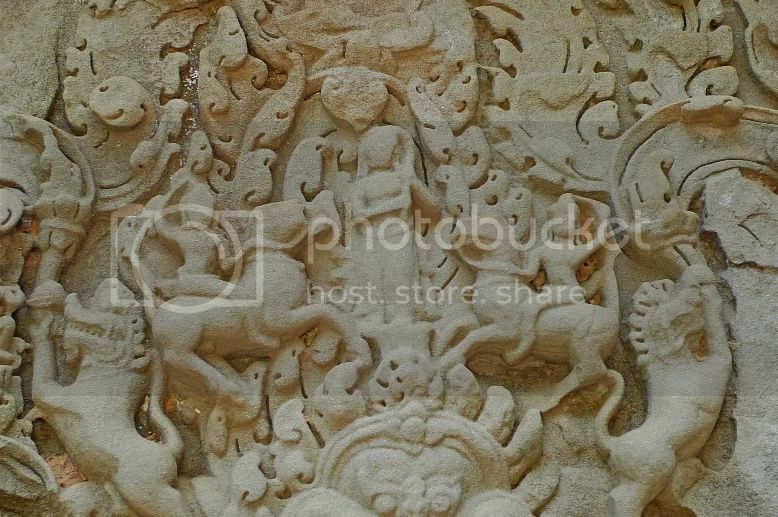 Intricate carvings on the rocks. 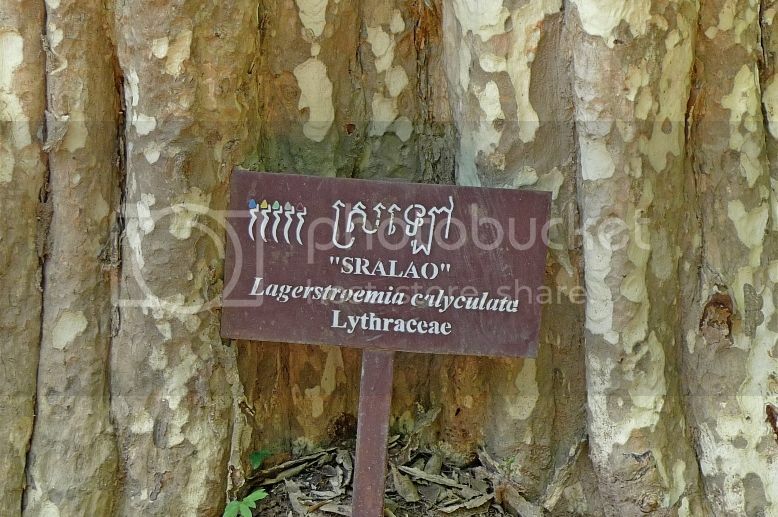 Although we did not spend a long time in Ta Prohm, I enjoyed this place immensely. 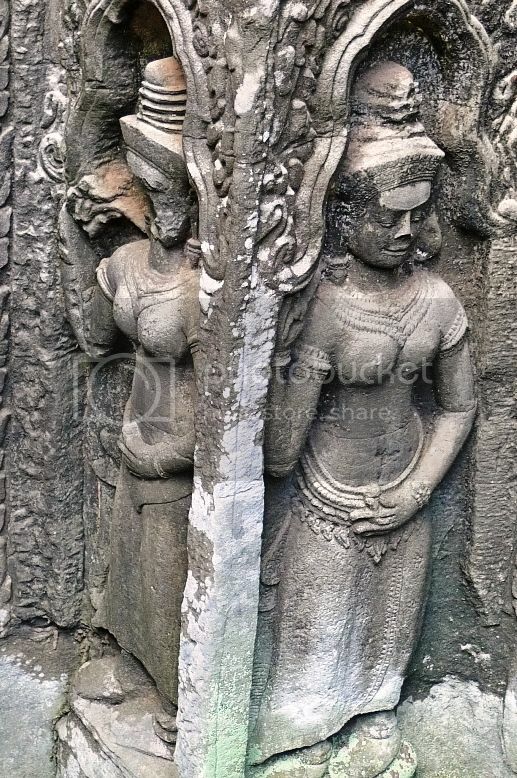 Somehow it was different from other temples in the Angkor Wat Archaeological Park. 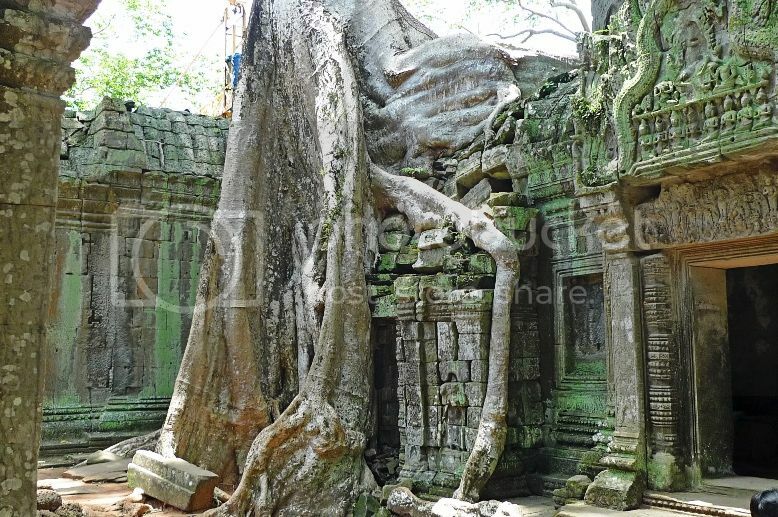 Perhaps the beauty of Ta Prohm could be felt in its decadence, in its lack of care - as if forgotten and left to the elements. Now if only I had met Lara Croft here. 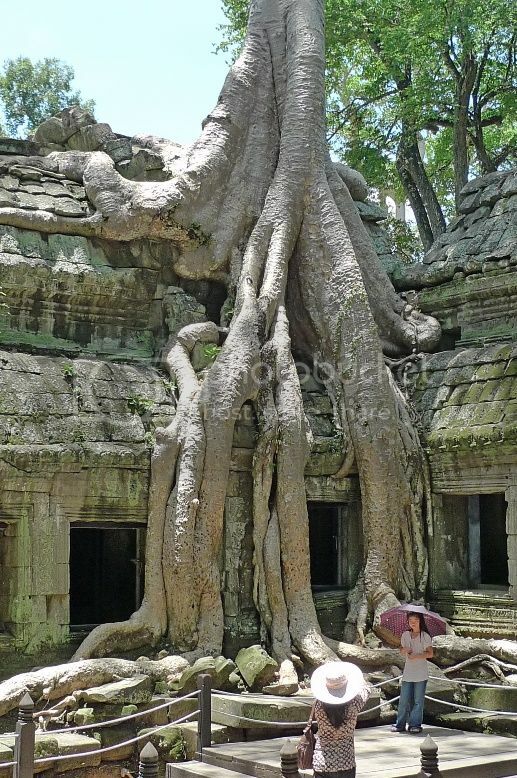 That would certainly made my trip to Ta Prohm complete.